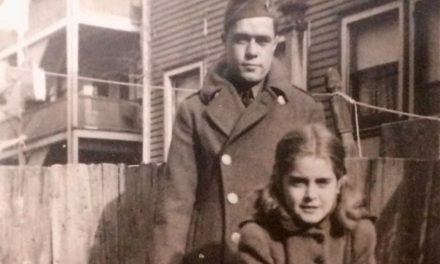 The born-and-raised Hawaiian was getting ready for church on December 7, 1941 when the Japanese attacked. He was putting his tie on and listening to the radio when the DJ stopped the music and began screaming that the Japanese were bombing Pearl Harbor. He initially thought it was a sketch from a radio show, but when the DJ kept yelling, the boy and his father went out into the street to look at the base. 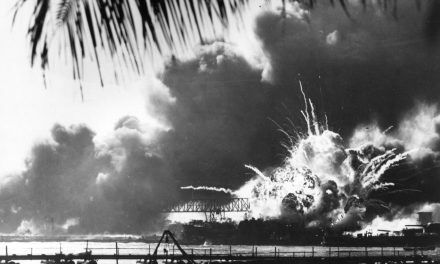 Clouds of dark anti-aircraft fire filled the air over Pearl Harbor. Three bombers flew over their heads, gray in color with red dots – the Japanese symbol. He then knew this was no radio show. The young man is the freshly enlisted 18-year-old Daniel Inouye. The Japanese-American Honolulu native, one of the last enlistees of the newly created all-Japanese 442nd Combat Regimental Team, will be shipping out for basic training with his new unit to Mississippi in just a few days. 17 at the time and a year-long member of the first aid station when the attack happened, Inouye had been trained in mass injuries or mass evacuations. Hawaiian authorities had expected problems and prepared their first responders for the exact situation that was unfurling in front of Inouye’s eyes. During the initial bombing, Inouye believes that some men forgot to turn on timers on the anti-aircraft units. The shells need to be timed so that they burst at a certain height, and there were around ten shells that failed to explode. Some of those landed in his own neighborhood. 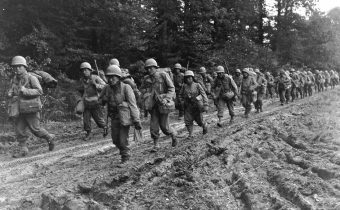 Responding to the call of his aid station to help clean up, Inouye believes that he may have picked up the first civilian fatality. 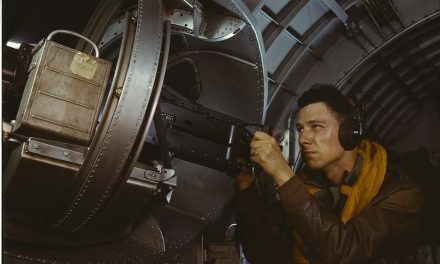 “I led the… team that picked up this elderly Japanese lady who was just having her breakfast at the time, I think oblivious to the fact that an attack was in progress, and a shell just went through the roof and sliced her head,” Inouye said, being sure to explain that he has no proof or no way of documenting it. 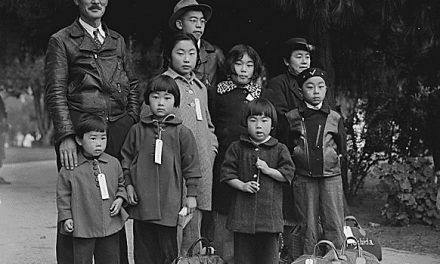 Weeks after the attack, around Christmastime, all Japanese-American citizens were to be considered 4C citizens, the designation of an enemy alien. The thought of being labeled an enemy alien was an insult and angered Inouye, along with many of his peers. This also prevented them from being able to join the military. “We decided we’d do something about this,” Inouye said. In the year and a half between the attack on Pearl Harbor and Inouye’s enlistment, he and his friends hoped that the military would be reopened for Japanese-Americans. They volunteered for everything, from digging trenches to stringing barbed wire. A group of university students founded the Varsity Victory Volunteers, who would do those tasks. Inouye, too young to join the group, instead signed petition after petition, asking the government to consider Japanese-Americans eligible for military service. Throughout this, Inouye continued on with his life and his plans. He had wanted to be a doctor, a surgeon, and enrolled in the University of Hawaii as a pre-med student. His plans changed last month on February 1, when President Roosevelt announced the formation of the 442nd Regimental Combat Team, an all-volunteer, all-Japanese-American unit. Despite his enthusiasm, the young man almost wasn’t accepted into the 442nd. His education as a pre-med student put him in a different category, due to country’s shortage of doctors. More importantly, his job at the aid station was considered essential. After he was told the reasons he was turned down, Inouye quit school and his job at the aid station without hesitation. “That afternoon I resigned, and I reported back to the draft board and said, ‘I’m ready now,’” Inouye said, a smile creeping across his face. “Officially I was the second to the last as far as the regiment is concerned.” His serial number is the second-to-last number in the last batch of the men who will leave Hawaii soon. Inouye has no idea about the misfortune of other Japanese-Americans on the West Coast and mainland. The Hawaiian government became a military government after the attack on Pearl Harbor, Inouye explained. The governor is a colonel, judges are military officers, and their news is censored. Because of that, very few Hawaiians are currently aware that over 120,000 Japanese-Americans on the mainland are displaced in internment camps. The goal for creating the 442nd was to receive 3,000 volunteers from the continental United States and 1,500 from the state of Hawaii. Out of those in internment camps, fewer than 1,000 citizens have stepped forward. From Hawaii, where there is no mass incarceration and no knowledge of it, over 10,000 citizens have volunteered. 2,686 of those have been accepted. There will be a farewell parade next week on March 28, at ‘Iolani Palace. The new recruits are to be sent to Camp Shelby, Mississippi, for their basic training. Ikeda, Tom, and Kashino, Beverly. Oral History Interview with Daniel Inouye. Densho: The Japanese American Legacy Project. June 30, 1998. Martin, Michel. Interview with Daniel Inouye. “Sen. Daniel Inouye On Pearl Harbor, After 70 Years.” Tell Me More, NPR News. December 7, 2011. The National WWII Museum. Oral History Interview with Daniel Inouye. NextThousands without a home: how will Washington respond?